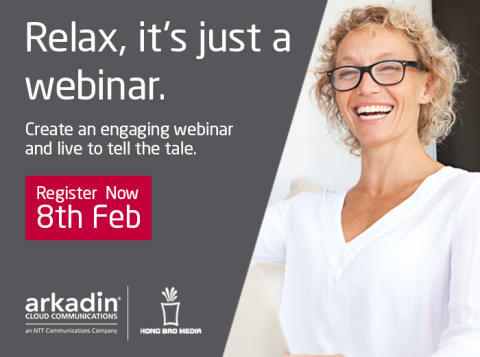 Create an engaging webinar and live to tell the tale! Your C-Levels are briefing analysts on your quarterly financial statements, addressing staff in a town hall meeting or training customers in how to use your products and services. But you need to reach your audience across the region, or even across the world, and you are considering webcasting your presentation. How do you overcome nerves, win the hearts and minds of your viewers, and drive real business value? Join former CNBC anchor and our resident expert Mark Laudi for three easy steps to build your confidence, deliver a clear message and make your webcast a success.